plum pizzaz punches up a porch! 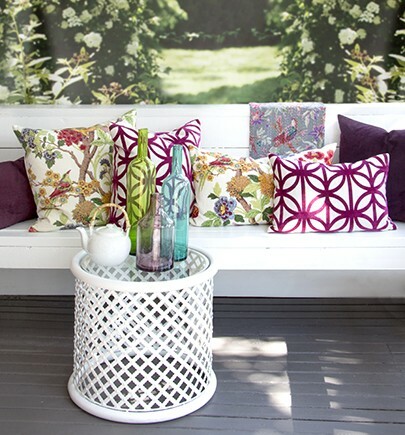 Here’s a pretty little grouping of cobistyle to brighten up your living room or porch this Spring! This trio of coloured glass bottles looks just as good empty as they do with one large leaf or flower stem in them. The pinks, plums and purple shades of the fabrics compliment each other without looking too matched. 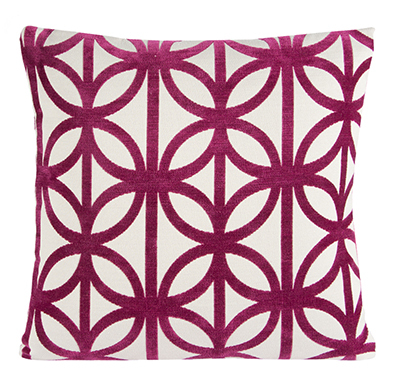 And the patterns coordinate beautifully with the large geometric acting as a striking contrast to the pretty floral. Throw in a light cotton throw with a coloured background and the combination only gets more interesting. 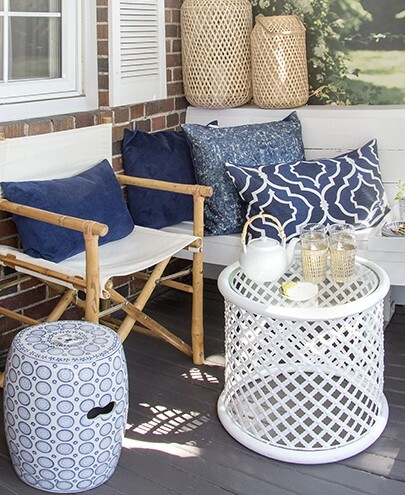 cobistyle decorative accessories are available at better decor boutiques across Canada. If you’re looking for something in particular, let me know and we’ll try to track it down in your area.